Reflexology is the ancient art of applying appropriate pressure to specific points and areas on the feet, hands, or ears. It has long been believed that these reflex points correspond to different body organs and systems and that pressing them has a beneficial effect on the person’s health. 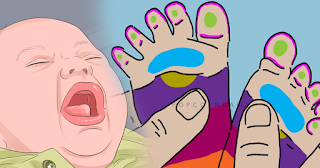 While reflexology is considered common among adults, many don’t know that the practice is equally (if not more) effective in infants given the sensitivity of their feet and hands. 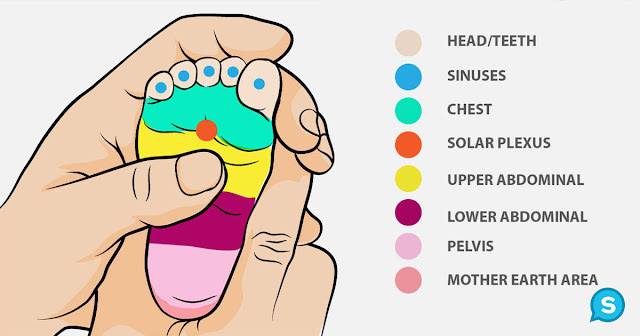 How Does Infant Reflexology Work? The baby’s foot is sub-divided into six major zones. These are the pelvic area, lower abdominal area, upper abdominal area, solar plexus, sinuses and the head or teeth area. 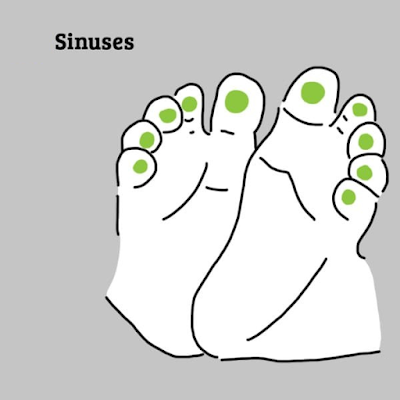 Reflexology involves gently applying pressure to these zones, providing relief and comfort. There are numerous common infant ailments that can be treated using reflexology. 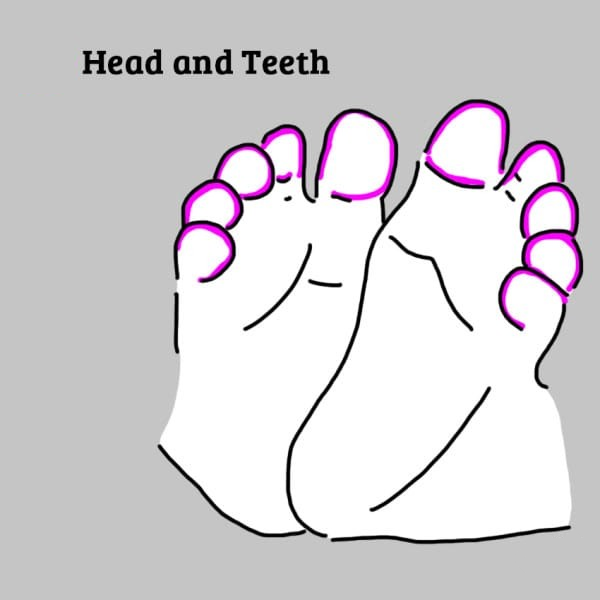 The most common of these that are effectively treated using reflexology include teething, gas, and colic. Besides using reflexology as a natural treatment therapy for ailments, it can also be used as a preventative means for promoting the overall health of the baby. Here are just a handful of everyday ailments that can be effectively treated with the use of infant reflexology. Give these a try before meds next time your little one has an ache or pain! As adults, we know how annoying and painful sinus trouble can be, but for babies that are experiencing it for the first time, it’s pure torture. 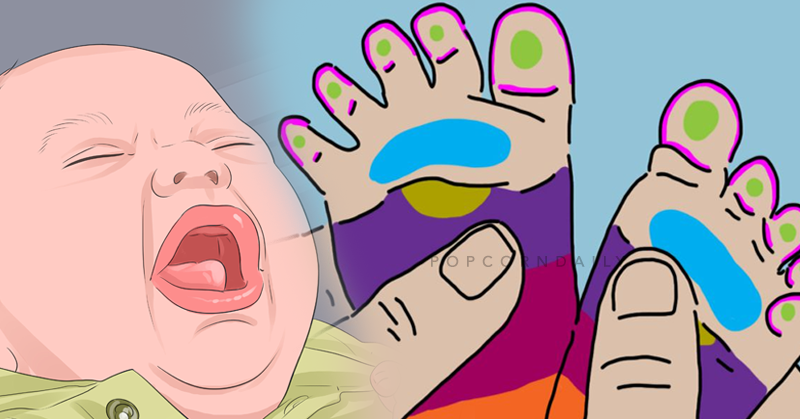 For relief, massage the center underside of that baby’s toes. Applying a gentle pressure will provide pain relief. Head pain and toothaches are both frequent and common for your little one. 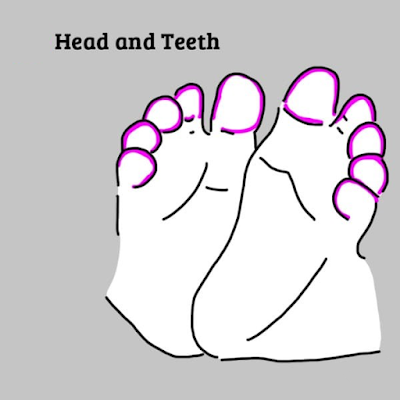 If you suspect s/he is experiencing one or the other, massage the tips of their toes. This can be done while they are both awake and asleep. 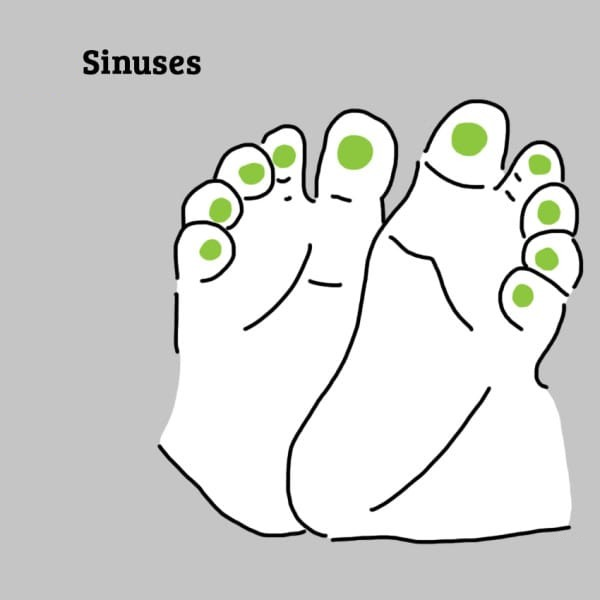 When your child is going through congestion in the chest, relief can be found on the pads of the feet, just under the toes and above the arch. Apply gentle pressure and massage in a circular motion to relieve congestion and coughing problems. For the children suffering from upset tummies, spasms, tightness and trouble breathing, massage the center of the foot below the pads of the feet where the arch begins to get relief. 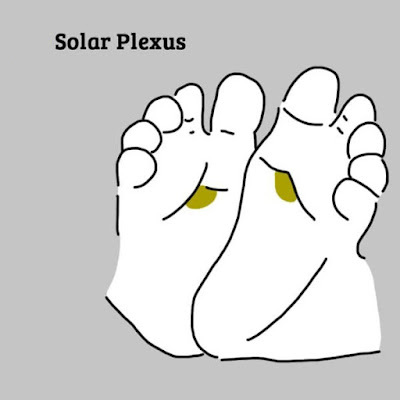 This area is connected to the Solar Plexus, a collection of nerves between the stomach and lungs. For constipation, heartburn, and indigestion, massage the space between the middle of your child’s foot and the pads of their feet. If the baby is experiencing pains from gas and bloating in the lower intestine, massage between the middle of their feet and heel. It’s very common that your baby will grow faster than certain parts of their body is ready for, causing pain and discomfort (especially in the hips). To help alleviate the growing pains, rub the heel. The heel can also be helpful for constipation and upset stomachs as well! While serious issues should always be consulted with a medical doctor, minor aches and pains can be alleviated with reflexology. It’s not only safer than medicine but also provides a nice little message for your little one too!